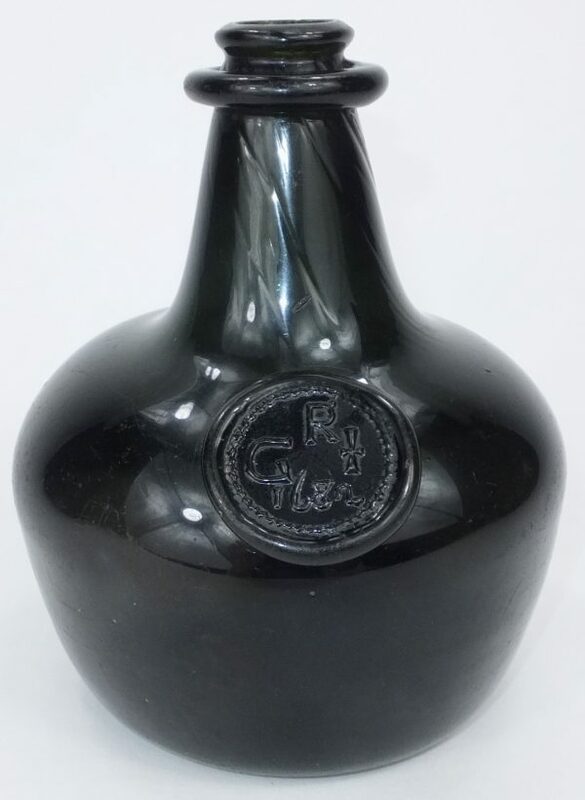 Well what can I say, the best looking bottle I have had the pleasure of owning. 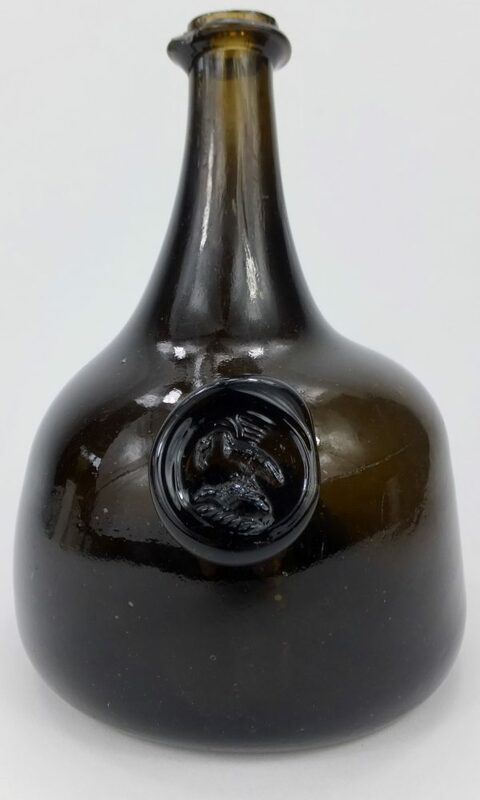 Squat form sealed and dated wine bottle GR 1682. 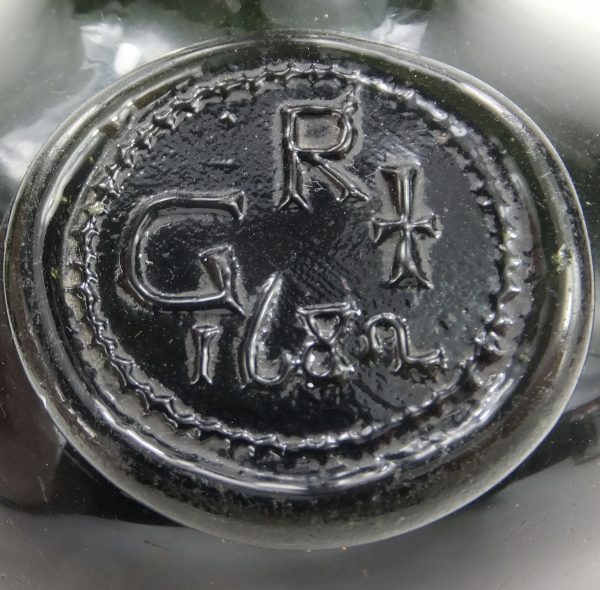 From the quick research I have done the cross featured on the bottle seal is related to Saint Alban, a British Roman christian martyr of the 3/4 th century AD who was beheaded for his religion in the town of St Albans Hertfordshire. 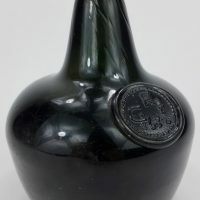 The bottle was found in the South Yorkshire Region of the UK which may be a basis for its origins. 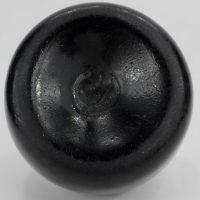 If blown in this area of the UK it would point to a local clergyman or incumbent of the Saint Alban faith with several churches dotted within the vicinity, namely Withernwick in East Yorkshire and Earsdon in Northumberland being two St Alban churches dating before the period on the bottle seal. 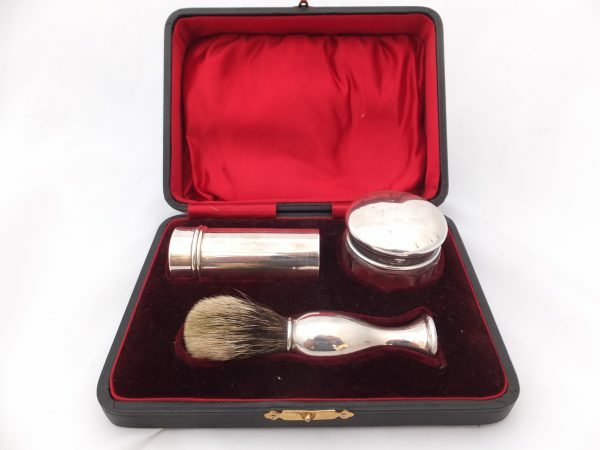 Further research would be needed but I feel this is a good area to begin! 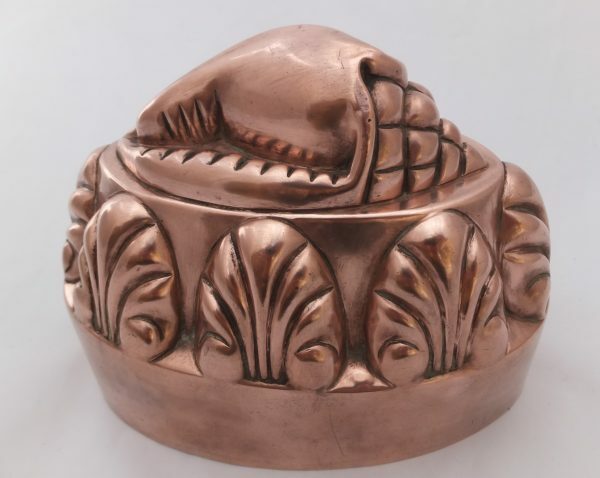 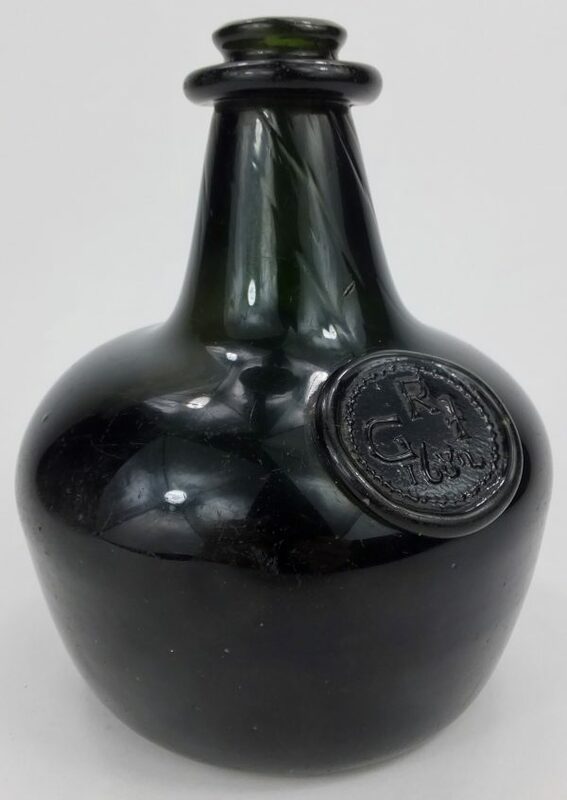 The bottle measures 6.6 inches tall, width 4.2 inches. 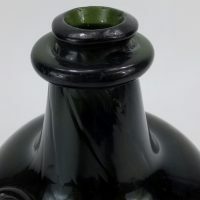 Good wear to the base with a single snapped rough blow pipe pontil mark (not tubular as with continental bottles but slightly irregular).The colour is a rich dark emerald green that does not generally conform to English bottles of this period but is not unknown. 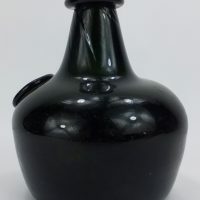 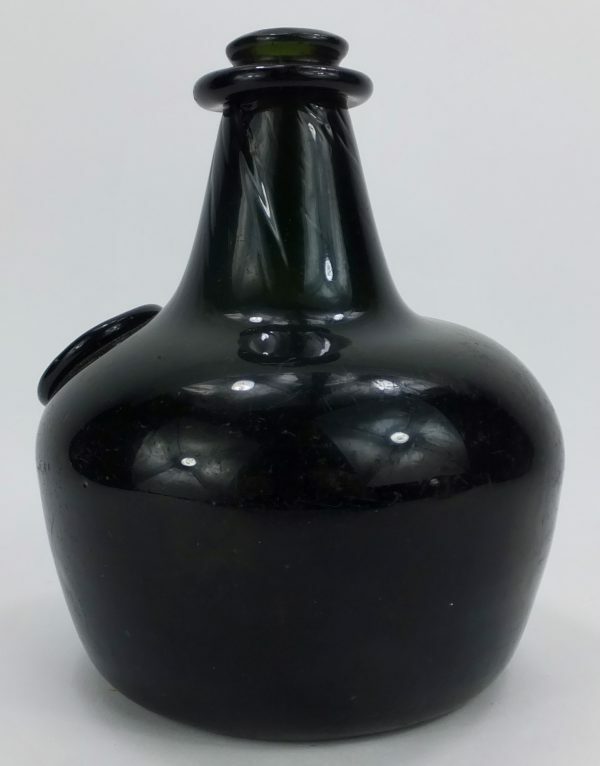 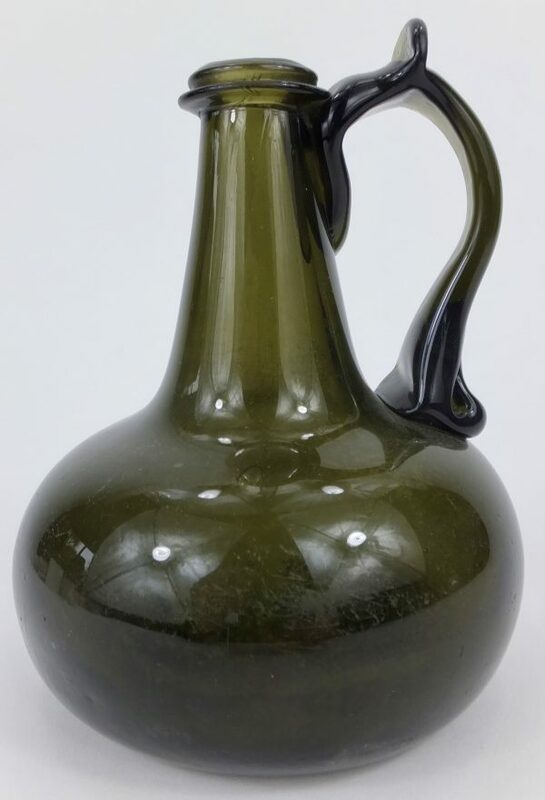 Glasshouses that could have possibly produced this bottle going on the site find region of South Yorkshire can be narrowed down to Silkstone Late C1650,s/1720/40 period who employed migrant French workers during the period. 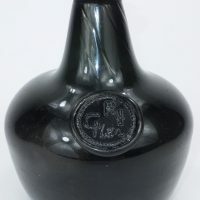 The only other possibility is Bolsterstone near Barnsley as Gawber glassworks were much late in production for our bottle. 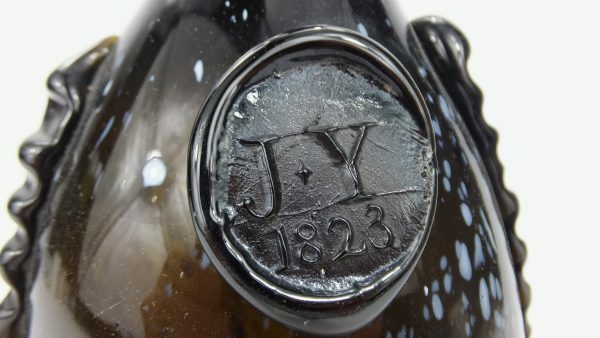 Regardless of its origins this bottle is a world beater and worthy of any fine collection. 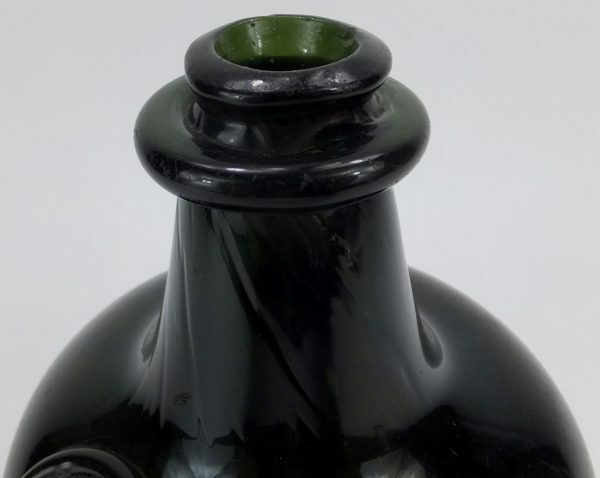 Overall condition is very good with just general wear from 340 years of life!